This is very cool. Simple, clearly coded and efficient. Works great for me. That seems like it should work as far as I can tell, but I must be missing something. Defaults to an empty string. This is not the preferred usage of implode as glue would be the second parameter and thus, the bad prototype would be used. Okay, I got follow and track requests working– forgot about alphabetical key ordering before generating signature. This isn’t the cleanest way to do it, but it does work. $base_string .= rawurlencode(‘oauth_consumer_key=’ . $this->m_oauth_consumer_key . ‘&’ . ‘oauth_nonce=’ . $this->m_oauth_nonce . ‘&’ . ‘oauth_signature_method=’ . $this->m_oauth_signature_method . ‘&’ . ‘oauth_timestamp=’ . $this->m_oauth_timestamp . ‘&’ . ‘oauth_token=’ . $this->m_oauth_token . ‘&’ . $secret = rawurlencode($this->m_oauth_consumer_secret) . ‘&’ . $oauth = ‘OAuth oauth_consumer_key=”‘ . $this->m_oauth_consumer_key . ‘”, ‘ . ‘oauth_nonce=”‘ . $this->m_oauth_nonce . ‘”, ‘ . ‘oauth_signature=”‘ . $this->m_oauth_signature . ‘”, ‘ . ‘oauth_signature_method=”‘ . $this->m_oauth_signature_method . ‘”, ‘ . ‘oauth_timestamp=”‘ . $this->m_oauth_timestamp . ‘”, ‘ . ‘oauth_token=”‘ . $this->m_oauth_token . ‘”, ‘ . // then reconnect, because it’s possible something went wrong. Thnx for your script. It was really helpful for me. I’m using your library but i’m stuck… I want to retrieve the user object (as profile, picture, id_user and all that stuff). I tried to modify your class but i just cant. Hi, this is great! easiest twitter stream script to follow. Can you help me to loop through the _data array to only show the “text” etc. If i use the following it fails. If you look at the output from print_r(), and the process_tweet() function definition, that $_data is an array, not an object. You added “count=100” to your $request2 string, but you didn’t add it to the $base_string above- so I assume it’s failing to authenticate. 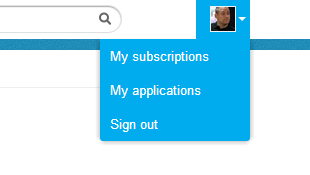 On the twitter developer tools site, there’s a Oauth testing tool, where you can pick an API call, and it will show you the Oauth request for it, including how the base string should look. I’d suggest you confirm with that after adding the count=100 to make sure your base string matches. i want to send a POST request with statuses/filter, and it work with one parameter but not with two! If you put one value in there, it will only search on one; if you put ten, it will search for all ten. This is exactly how the code is designed. I know that the code is designed to use $_keywords but i did lots of try so i replaced it to be faster. As usual, very intresting content mike. Hey i am using your Tweet class to get tweets from hashtag using live stream api. I am running this as a cronjob for every hour to get tweets. Whats happening is, it’s getting data for first time after that it’s not getting data. May i know why is it related already open socket problem. Well, the library is designed to start up and run in the background as a live streaming service, and not really as a cron job. You’ll notice in the start() function in the library, there is a while(1) loop, and inside that, it opens the socket, and waits on select() for new data (streaming). The twitter API (from what I can remember) will only let you open one connection with a single key; is it possible it’s running the first time, and then staying running in the background, and then the second time it runs via cron, it’s failing, because the first instance is still running? I would say, just let it run in the background, rather than running it via cron- if you can- otherwise you’re going to have to change the library, but then you’re going to end up missing data between polls. will rate limit be a problem while using stream api or not? What if I want to change a limit or time period of this fetching? Can I search based on geo-location using this library ? Thanks for great script, it works great and fast! I’m trying to include condition that only geo-enabled tweets would pass through, and I tried many methods, but none of them was successful. Do you know how to solve this? Thank you! Without the additional parameters it works just fine. I tried to append the new parameters to the $data string in ctwitter_stream::start(). I don’t know if this is the right way.. Do you have any ideas? I read twitter streaming API documentations and you above article for my interest based query on twitter data. But I could not get information I want. What I want is to get top tweets from twitter based on location, category (news, entertainment, sports ..), rt_count values, type (tweets containing image, video, link). Is there any twitter API support for this? Or I need to write my own algorithm for this. can you please suggest any direction for this? Thanks for the script – really useful! I copied the class, and then use the code provided. it keep on running and never stops. i change the loop to run only 100 times, but this program is still running without producing any results. I must be doing something stupid, but at the moment I am not able to figure out what am i doing wrong. The script is supposed to run forever; it’s designed to connect to the twitter streaming API, which is a “live” stream of tweets. The idea is to add your “per-tweet” handling code in the “process_tweet()” method, and then let this script run in the background. Try putting a common search term in (like “facebook” or something), and then start the script up with just print_r($_data) in the process_tweet() method (as per the example), and you should see tweets coming in. which should always be the case; the only thing I can think of, is that json_decode() is failing (for some reason), so it’s passing a bool into it. and then check the value of $_data first, and in any case where it’s not an array (maybe is_array() on it), then spit out what it is, to try and work back and find out where the error is coming from. How can i change timezone in your code. It always searching tweets from US and CANADA. I can show only one tweet at a time? Im kind of new with twitter API, though i do appreciate the code. my challenge is how can i use geo location with this code. and also splitting the array contents. my aim is to insert the tweets in a database. thanks . Nice explanation! Really helps in understanding the basics of twitter streams. I’ve applied the keys and tokens yesterday and put it in your codes but I still get a 401 response…Can you please tell me why? I’m not sure is it because twitter has used OAuth 1.1 instead of OAuth 1.0? Thanks for the code sample and I hope you’re still paying attention to this post. I was wondering if you had any hints as to a problem I’m running into. Theoretically, you should be able to switch the ‘track’ for either ‘follow’ or ‘locations’ and switch your start array to match those arguments and it should work correct? Whenever I change from track to either of the other two mandatory options it kicks back a 401 ‘authentication required.’ Any ideas as to why this would not work? Not sure if you’ve figured this out yet- but yes, you can change the type of request you’re doing, as long as you encode things properly, and your account has access for the requests you’re making. And for example, if you changed it from a “filter” request, to something else, you need to make sure to change it in both places (both when building the oauth values, and when making the actual request). How to close the connection if I do not want to run it forever ? The library is designed to run in the background as a daemon and collect tweets; this is how the “fire hose” Twitter service is meant to be used. If you want to run one-off versions, you’ll have to redesign the library. Great example of clean and well documented code! I am using this as a basis for learning the Twitter streaming api, and you have saved me weeks of frustration! Thanks for this script. Please, I tried to run the script but my browser is just rolling. I also tried to save the $_data into a database table just to test if tweet is returned, but nothing is saved and the browser still keeps rolling without any error. Please what is the problem? Thank you very much from Italy! I am using hou code and it works wihtout any problems until yesterday., I found that sometimg when the tweet contains an Arabic content , the script failed, Is there any utf8 function that I had to use or it is any issue from twitter side. and it works great.. now i just have to parse the stream result based on the return value and put it in my db. thank you very much for your code. this is just very helpful. Please help me I am in trouble.